Fresh off the resignation of executive Roy Price and a “near exodus” of executives that followed him, Amazon Studios now has another sexual harassment claim under investigation. Deadline reports that a former assistant of Jeffrey Tambor has accused him of sexual harassment. The assistant, Van Barnes, made the claim in a private Facebook post, which prompted the investigation earlier this week. Amazon is currently in the process of speaking to those involved in the production of Transparent, the award-winning show that stars Tambor. Barnes, a transgender woman, has appeared in E!’s I Am Cait and the Amazon documentary series This Is Me. The news comes after other sexual harassment allegations have rocked Amazon. Executive Roy Price was suspended and then resigned after he was accused by producer Isa Hackett of aggressively propositioning her. Worse, it later became apparent that Hackett had complained a full two years before Price was suspended—Amazon waited until public furor over Harvey Weinstein’s decades of sexual misconduct was at a peak before doing anything. 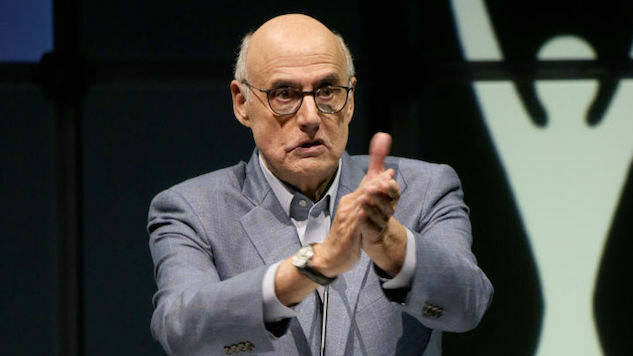 The investigation into Tambor’s conduct is in Amazon’s hands now, so it’s hard to say exactly what will come of the allegations. Transparent is not currently in production.